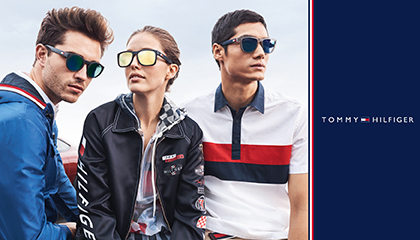 Tommy Hilfiger Kids gives its sunglasses the brand’s iconic preppy with a twist look. And both fun and smart it’s perfect for kids. As well as full UV400 protection you can trust, Tommy Hilfiger Kids sunglasses keep them up-to-date. Trendy retro frames get cool all-over stripe prints, bicolours, layering and coloured lenses. And they're handcrafted. Why shouldn’t the kids have the best too?